It’s hotter than Ibiza in Ireland this week. That means that you should be slathering on just as much high factor sunscreen every morning as you would if you were hitting the beach on a Spanish island. The best way to ensure you’re protected from the damaging rays is to build sun screen into your routine. 1. 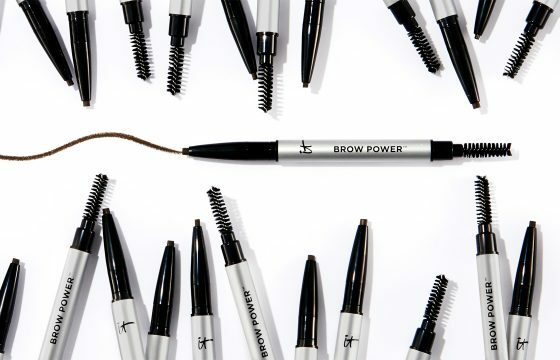 The emergency glow getter: Need a quick golden sheen before you brave your shorts? The ultimate skin care multi-tasker, Vita Liberata’s Marula Dry Oil Self Tan SPF 50 conditions, protects and enhances your skin with light olive-toned colour. 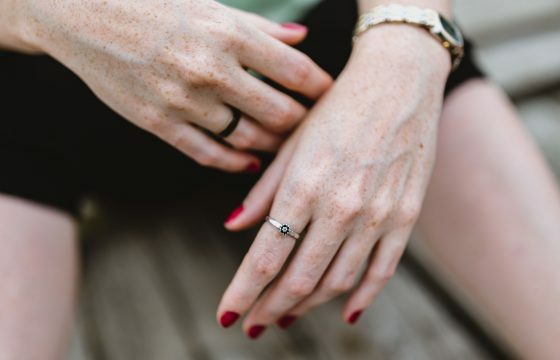 It absorbs almost instantly – developing from a subtle glow to a deep, long-lasting bronze – all whilst protecting your skin from the ageing effects of the sun. (€44.70 here). 2. 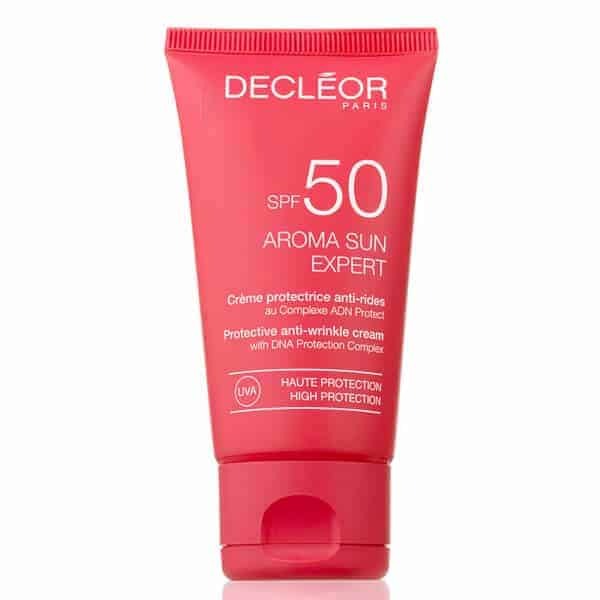 The fair-haired friend: If you prefer to avoid the sun completely, slather your skin in Decleor Ultra Protective Anti-Wrinkle Cream SPF50 (€35.99 here). Designed with sensitive, fair and mature skin in mind, this high-factor, anti-wrinkle sun cream has UVA and UVB filters, a DNA Protection Complex and rose essential oil to boosts the skin’s natural defences. 3. The soothing spritz (with benefits): Hydrabio Eau de Soin SPF (€12.75 from pharmacies) is the first antioxidant UV-protective and moisturising water for dehydrated skin. The water mist intensely hydrates skin and also acts as the perfect makeup fixing spray, complete with UV protection and SPF 30. 4. The scalp saviour: Sitting in the sun for a morning coffee? You might wear shades to protect your eyes, but just a few minutes is enough to get a nasty burn on your scalp. 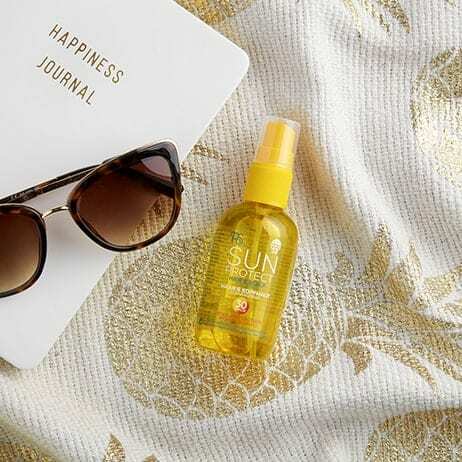 Pop a bottle of Penneys’ PS… Sun Hair and Scalp Sun Spray (€4) in your bag – it’s non-greasy and easily-absorbed, giving you Factor 30 protection while you sip your iced mocha. 5. The hair protector: L’Oréal Professionnel’s Série Expert Solar Sublime range features Mexoryl S.O technology – the ultimate in sun protection for the hair. This clever filter absorbs and blocks UV rays, preventing them from entering the hair fibre and leaving each strand hydrated. The shampoo, protective spray and conditioning masque are available from salons and prices start at €14.50.